Kesztyűgyár, Bp. 1084, Mátyás tér 15. Participation is free, please register here! Népszínház utca is among the most controversial streets in Budapest. Traditionally the first stop of recent immigrants to the city, the street accommodates a variety of ethnic groups, without being able to profit from its cultural diversity. While the Teleki tér neighborhood has been improved with the establishment of new cultural and social spaces as well as with a new, community-designed public park, the commercial street’s fame is overshadowed by its neglected public spaces, derelict buildings, empty shops and tangible social conflicts. The workshop organized on November 14 by the Hungarian Contemporary Architecture Centre and Roeveld-Sikkes aims at bringing together local organizations, planners, designers, decision-makers and international experts in order to study the street’s possibilities, to elaborate visions for its future and to identify its potential transformation scenarios, addressing the following questions: What planning, design and financial tools can be used for the revitalization of the street’s commerce? 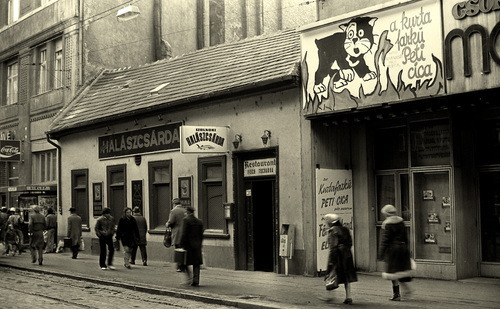 What is the role of local businesses, traditional crafts and restaurants in Népszínház utca? How can revenues from tourism be reinvested in the neighborhood’s infrastructures and services? How to preserve the street’s diversity and to appease social conflicts in the same time? In the course of the workshop, participants get acquainted with the regeneration process of a commercial street in The Hague, and analyze the problems and possibilities of Népszínház utca, focusing on innovative coalition formats, regulating frameworks, the advantages and risks of thematic streets, and rehabilitation financement models. 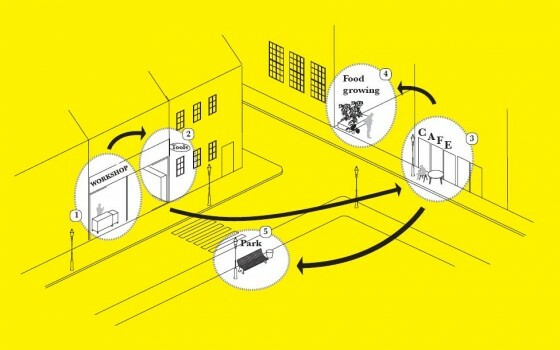 The purpose of the workshop is to elaborate development scenarios that offer perspectives for improving the street’s commerce, reusing the street’s empty shops, engaging residents as well as social and cultural actors, initiating services for locals and tourists, and enhancing the street’s attractiveness. The workshop’s guests are Manish Dixit and Hedwigis Verheijen (Hague Municipality), protagonists of the regeneration of Hague’s multicultural Paul Krugerlaan. Ir. Manish Dixit started his career nearly 20 years ago as a real estate developer. He has been responsible for the development of many sites which included large scale developments in housing and commercial real estate. In the past eight years he has been involved in the development and implementation of strategies for transforming poorly functioning urban areas. He works in a participative approach, emphasizing the socio-economic vitality of urban areas in which physical transformations form a supportive role. The Paul Krugerlaan is a street in the Transvaal quarter in the city Of The Hague. It was built in the early 20th century as a residential street. Within a decade the houses on the street level were slowly transformed into shops. In the 1980’s, the first immigrants from Suriname, Turkey And Morocco started taking over businesses. By the turn of the century the street had about 150 shops, predominantly from a migrant background. The real estate of these shops is owned by more than a hundred different people/companies, many of them just interested in collecting the rent and not investing. By the turn of the century, there was a major decline in the physical appearance of the street, there was hardly any diversity, low quality of entrepreneurship, poorly functioning shopkeeper’s association and declining number of visitors. In 2009 a radical integrated approach was implemented to target various issues and to stop the vicious circle of urban decline. Today the street has found it’s way up and in the recent past has attracted experienced entrepreneurs, new shopping and food formulas. Coming Soon! 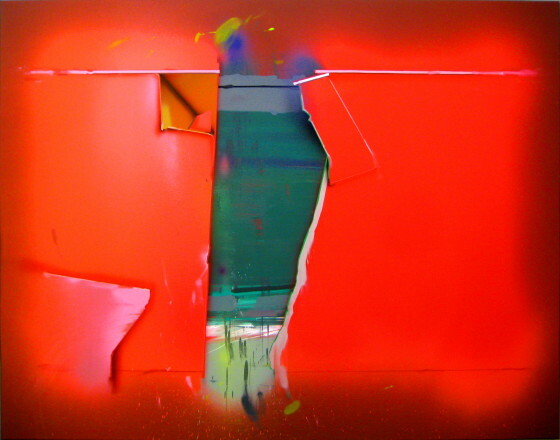 Project Gallery, Budapest 1052, Kossuth Lajos utca 14-16. Budapest has suffered more from the economic crises than many other European cities. The recession, combined with many building types becoming obsolete and no longer able to respond to contemporary needs, as well as with inflexible management of real estate properties owned by private as well as public owners, has emptied a significant proportion of the city from its previous functions and use. Vacant storefronts represent a burden for all actors of the urban realm. Owners pay charges after their unrented shops, unused properties are deteriorating, losing their value throughout the process. The commercial activity of a neighborhood is gradually degraded with the presence of vacant properties that don’t generate any traffic and deprive neighboring shops from entire groups of potential customers. Shops with lowered shutters worsen the public safety of an area, where nobody sees what happens on the street. 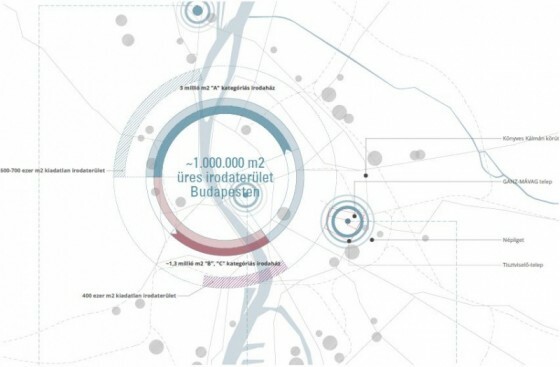 The KÉK – Hungarian Contemporary Architecture Centre invited specialists from Paris to present municipal strategies to rethink the management model of commercial properties and architectural interventions to expand the possibilities of ground-floor use. 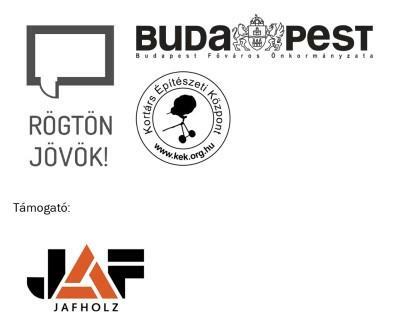 The lectures are conceived as part of the Festival of Open Shops, organized by KÉK in cooperation with the Budapest Municipality. The Festival aims at opening vacant shops and storefronts for a month, accommodating civic, social and cultural projects and institutions. The initiatives selected through a jury procedure have the opportunity to inhabit the onetime vacant spaces, to present themselves and their projects, and ideally to engage private and public property owners to elaborate more flexible, more inclusive strategies for their shops and storefronts. This month of experimentation is conceived as part of the long-term strategy to reconsider vacant shops as resources for communities and creative initiatives. The Festival begins on September 19 and runs until October 18. Magali Vergnet-Covo is adviser at Strategy, Development and Territories division of Semaest, the Paris Municipality’s mixed-economy company. Semaest is specialized on economic regeneration of Parisian neighborhoods. 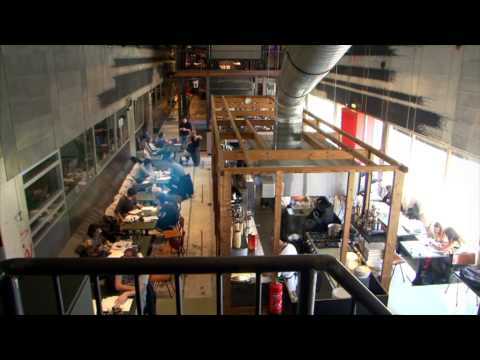 In 2004, Semaest launched the Vital’Quartier project, enhancing local economy and small commerce in neighborhoods characterized by monofunctionality and vacant storefronts. GRAU is a Paris-based architecture office working on projects at various scales, from housing to territorial development. In 2013, GRAU was invited by Semaest to elaborate architectural strategies to rethink the possibilities of ground-floor spaces. 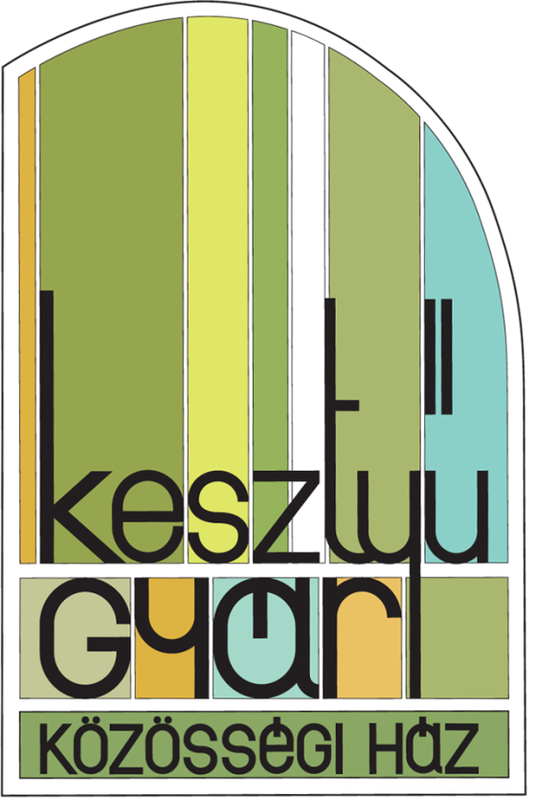 GRAU will be represented in Budapest by Erwan Bonduelle. The event is supported by the French Institute of Budapest. Similarly to Budapest, Amsterdam has witnessed a radical decrease of office space use in the past years. Taking a pro-active position to tackle the issue of underused buildings, the City of Amsterdam is stimulating redevelopment and transformation not only organizational (office-space intermediary, transformation team), but also financial (through lease incentives, fines/charges, no subvention) legal and planning (permit procedures, zoning plans). 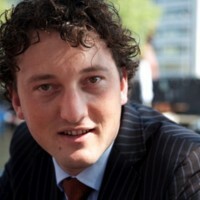 Paul Oudeman works for the Amsterdam Development Corporation (Ontwikkelingsbedrijf Gemeente Amsterdam) as the office-space intermediary of the Municipality of Amsterdam. He encourages and helps property owners to convert their vacant office properties to alternative uses, including residential property, hotels, space for creative endeavours, start-up companies and ‘incubators’. As part of the transformation process, he brings property owners in contact with those looking for property and helps them navigate the municipal process, procedures and regulations. 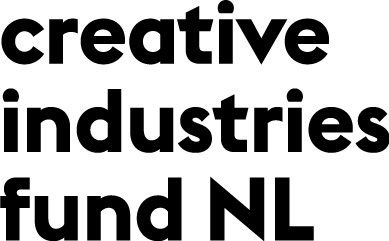 The event is supported by the Stimuleringsfonds Creatieve Industries and Norway Grants, and produced in cooperation with the Budapest Municipality’s Coming Soon! program. 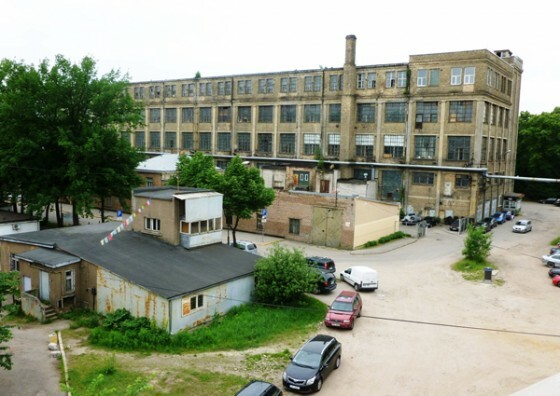 Free Riga 2014 contributes and acts in support of integrated projects for urban regeneration and reclamation of urban wasteland. The aim is to support integrated projects for urban regeneration and reclamation of urban wasteland zones especially by rehabilitating unused spaces like older buildings, factories and derelict built-up areas for cultural and social use. Unconventional Portraits of Buildings – Short film selection from the Budapest Architecture Film Days, in the Coming Soon! Project Gallery. Details here. Venue: Coming Soon! Project Gallery, V. Kossuth Lajos utca 14-16. The Adaptable City exhibition is an introduction to the logic of in-between use, showing the basic questions, architectural, economic and legal conditions of the temporary reuse of empty urban properties. Through examples and case studies, the exhibition discusses the difficulties and opportunities of bottom-up initiatives, property owners or the public administration. The show is conceived as a process: the content structure displayed at the opening will be continuously complemented and enriched with the findings and materials of the workshops organized in the gallery to test international best practices within the Budapest context. Sándor Finta, Chief Architect of Budapest and Attila Ughy, Councillor for Cityscape and Urban Development, project leaders of the Coming Soon! program of Budapest. The „Theatre on the Roof” presents „Vernissage” in English language. Date: 14 – 17. November 2013. 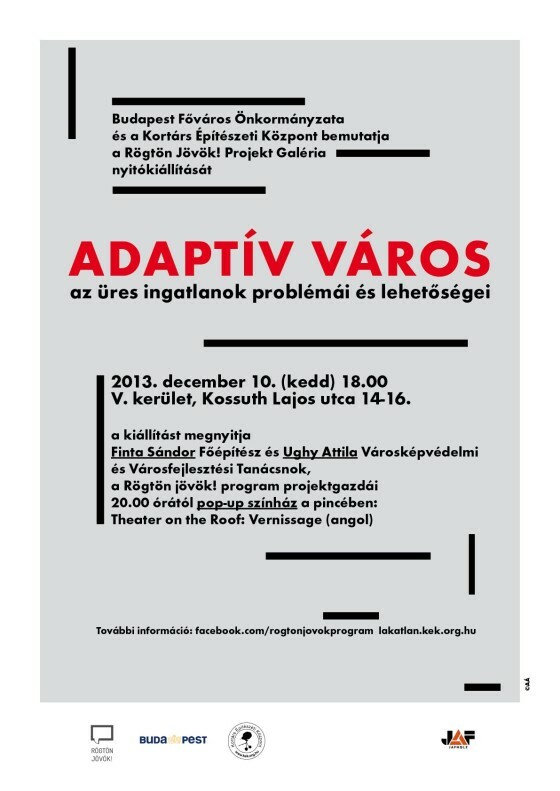 Venue: 1053 Budapest, Kossuth Lajos utca 14-16. The workshop and the lectures are held in English. The public events are open and free of charge. The Failed Architecture Workshop takes place in the framework of the series organized by Lakatlan Budapest (KÉK) presenting Dutch approaches to vacancy, supported by the Creatieve Stimuleringsfonds NL. 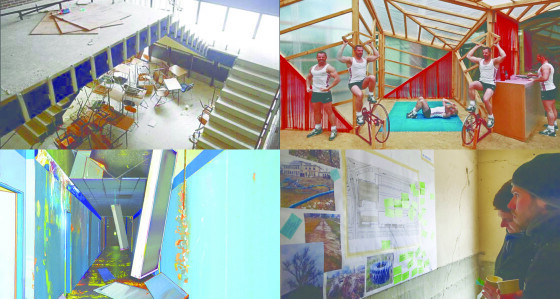 Failed Architecture aims to open up perspectives on urban failure and dubious architecture, from what it’s perceived to be, what is actually happening and how it’s represented to the public. FA believes that there is a demand for more holistic, 360-degree observations that lay bare the downsides of urban development and architecture instead of just looking at the physical results produced by architects. Next to an ongoing online exploration and live lectures and debates, FA conducts research workshops on site. These have been carried out in a variety of cities, amongst which Berlin, Nottingham, Sofia, Tallinn, Porto, Copenhagen and Belgrade. The aim of the workshop is to understand the context and path-dependency of a particular building, neighbourhood or urban phenomenon, which is considered to be problematic. Together with a group of participants, FA performs a multiple-day research that breaks down the history of the specific case. 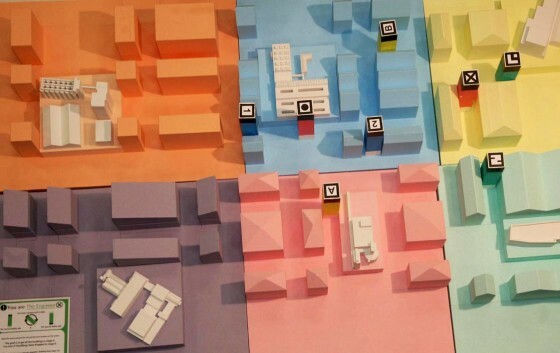 By analyzing different layers that influence it – the built environment, the social context, the economics, the reputation and the politics – a physical timeline is created. The timeline shows the history of the case from various, interconnected angles. The participants conduct the research with FA’s guidance, the input of local experts and their own investigations. This includes lectures, desk and archival research, interviews and field analysis. The timeline is the basis for further discussion about the challenges and constraints, but most of all the potential of the alleged problem. 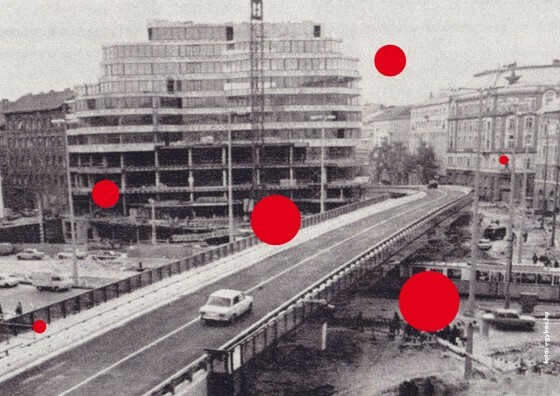 In Budapest, the Failed Architecture Workshop will address the Skála Metró building and its environment at Nyugati Square. The building, once the most modern department store of the city, has been witnessing the transformation of commerce and shopping habits, the changing significance of neighborhoods, the decline of building technologies and types. The workshop inaugurates the 6-month series organized by Lakatlan Budapest (KÉK) presenting Dutch approaches to Vacancy. 10:30 – 11:30 Chinese retailers in Budapest and in the Skála department stores. 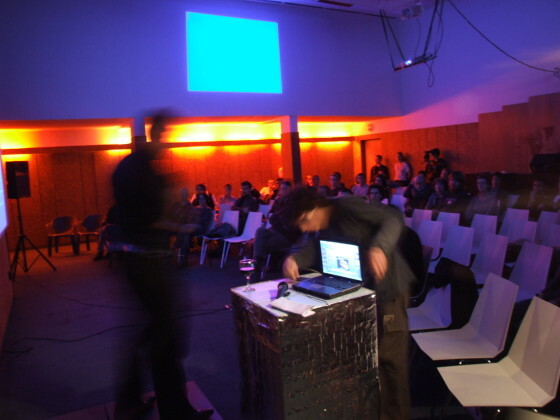 16:00 – 17:00 Exhibition opening, public presentation of timeline. How can temporary playful interventions be used to engage people with the issue of vacancy? The Mobile City is a partner in the new project Rezone Playful Interventions. In this project three teams, each composed of an architect and a game designer, collaborate to create a temporary playful urban intervention for the soon to be vacant factory De Heus Koudijs at the edge of the city center of Den Bosch. 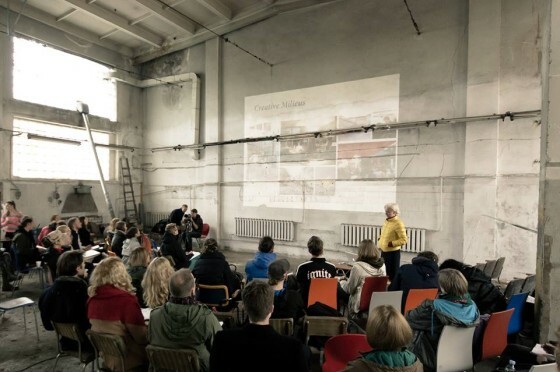 The aim is to involve visitors and stakeholders through play with both the particular location and the general issue of abandoned postindustrial heritage, and strengthen their sense of ‘ownership’. 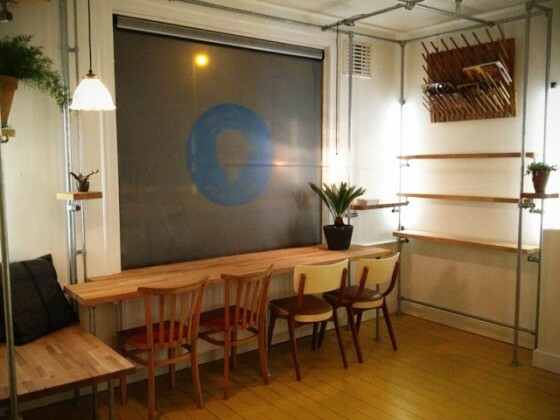 Some time ago a new pop-up store concept opened doors in North Amsterdam. The little shop called Mama Louise is a so-called ‘Wisselwinkel’, or ‘Shift Shop’, which means that the shop owner and the shop type change every six months. Starting local entrepreneurs are offered the opportunity to kickstart their business in this small, flexible space. Az Ingatlanfejlesztői Kerekasztal Egyesület üdvözölte, hogy nem csökkennek tovább a bérleti díjak a budapesti irodapiacon, és az üres irodaterületek aránya a teljes állományon belül is húsz százalék alá esett. A szervezet ugyanakkor hozzáteszi: trendfordulót csak új bérlők nagyszámú megjelenése hozhatna. A közel 2,6 millió négyzetméteres fővárosi modern irodaállománynak a Budapesti Ingatlan Tanácsadók Egyeztető Fórumának adatai szerint 25 százaléka áll üresen immár három éve. 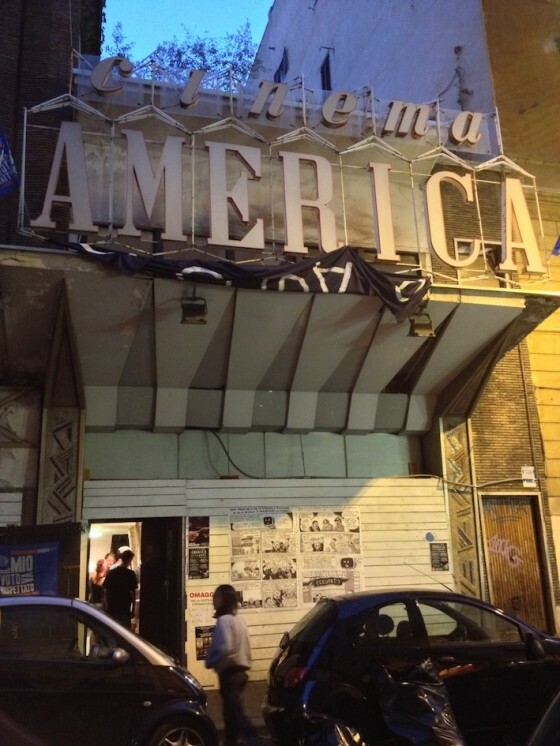 Cinema America in the tourist-packed and commercial Trastevere has been occupied by students, locals, social activists, and civic associations, after being abandoned for 15 years. 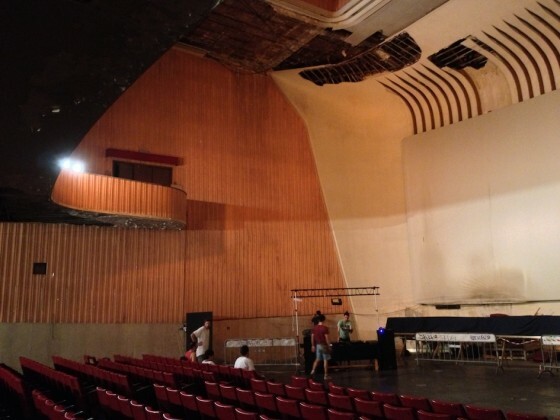 As it undergoes a number of electrifying developments its becoming a beacon of alternative culture in Rome. Since its doors re-opened Nov. 13, the cinema’s original 1950s sign ‘Cinema America’ is now accompanied by the word ‘occupato’ written in white paint on a black fabric. As the cinema was once an important entertainment and romance hot-spot, long-time Trastevere residents were happy to see its return, after 15 years of absolute neglection. Coining itself as both a cultural point and a symbol for the defence of territory hosts both creative and political activities and services to the Trastevere and the rest of Rome. 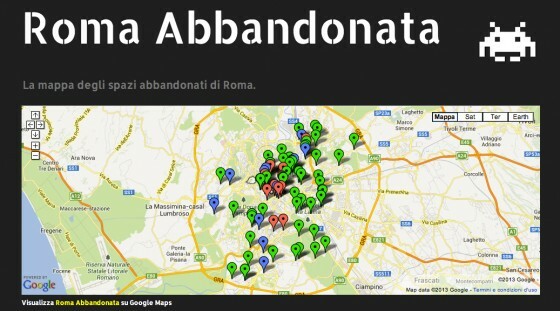 Una mappa interattiva per segnalare tutti gli edifici abbandonati di Roma. L’ambizioso progetto, iniziato a settembre 2012, ha lo scopo di catalogare sia edifici pubblici che privati (purché di interesse collettivo), di raccoglierne la storia e le informazioni, e di rendere aperte a tutti queste risorse sul sito romabbandonata.blogspot.it. Mayor of the VIII. 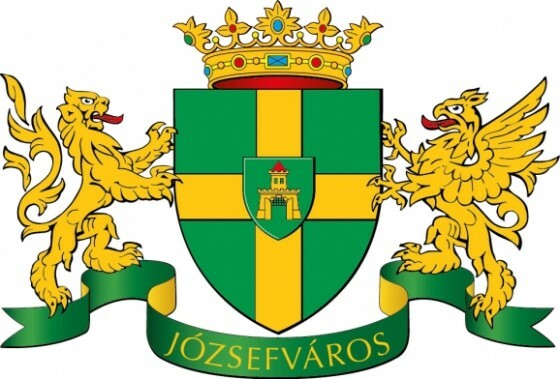 district, Kocsis Máté announced this Sunday that they asked the two landowners (Hungarian National Asset Management and Property Management Directorate of the MAV) to cancel the lease in 150 days. 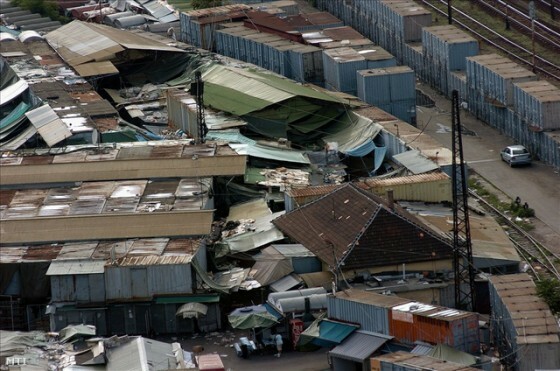 The market is infamous of criminal activities and the fake, contraband goods. The Mayor layed stress upon their intention to compensate the sellers who comply with the laws with district owned shops. 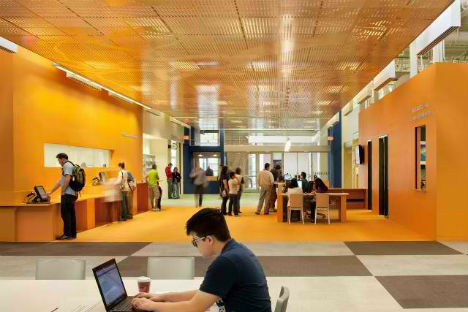 The district will mitigate their administrative costs and integrate the renovation costs into their rental fee. They can provide app. 100 shops for this purpose. On the 5 day long international workshop we re-thought the urban vacany and the possible reuse of vacant properties in Budapest! 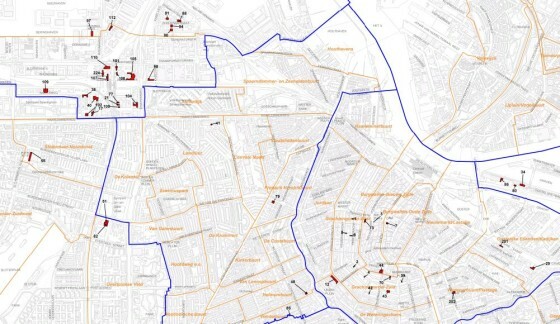 Our case study was the Klauzál square (7th district). 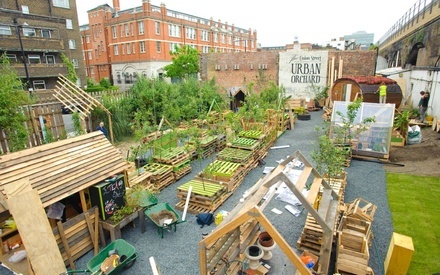 The aim was to provide tools and support for the public to develop vacant spaces. Common thread between workshop participants was a reluctance to propose a definitive function for vacant space, rather the objective was to create the tools and support required for the locals to successfully occupy the spaces. A belief that a truly sustainable and durable model requires the active participation and involvement of the public. Wonderful starting point, thanks for all participants! Your constructive comments are more than welcome! WORKSHOP PARTICIPANTS: Mathis Bout, Machiel Crielaard, Abraham Fung, Zuza Kerekretyova, Zico Lopes, Leonard Ma, Marion Masteh, Klara Muranyi, Julia Oravecz, Levente Polyak, Daniela Patti, Jekaterina Porohina, Ivan Rabodzeerko, Orsolya Veres, Goran Vodicka. SPECIAL THANKS TO: FÜGE Produkció, Jurányi inkubátorház (Bakk Ágnes), PP Center (Pátkai Marcell), Körút Fesztivál (Piskolti Bernadett), MüSzi (Bársony Juli), Tűzraktér (Balla Zoltán), IG Kultur Wien (Anna Hirschmann, Willi Hejda, Mara Verlic, Raphael Kiczka) and all the people who have contributed to a successful Project Space in Budapest! Térképezők, városlakók, figyelem! Decemberben indítottuk el “Lakatlan Budapest” közösségi térképünket, amelyre bárki feltöltheti az általa ismert üres ingatlanok adatait, amelyek régóta állnak kihasználatlanul és amelyek jobb sorsot érdemelnek. A térképre azóta több száz bejegyzés érkezett, de továbbra is várjuk a lakatlan épületekre, lakóházakra, boltokra, irodaházakra, középületekre, stb. vonatkozó információkat, valamint olyan önkéntesek és városvédők, civil szervezetek jelentkezését, akik szívesen kapcsolódnak a térképezés folyamatához.